Hi, I am Medowar, an IT System Engineer and a Passionate Gamer. I do some Website stuff and Server hosting in my freetime. I also like to play games. I´ve been playing Dota 2 since 2011 and even started with Dota 1 somewhat around 2006, although there was a break between both games. I was involved in a number of Dota 2 related Projects, the most successfull ones are featured under Projets. I also write on my blog very occasionally. Projects, that I am involved in or was part of. D2moddin was a custom games Plattform designed to bring Custom Games to Dota. Project Finished, after Valve implemented custom games into the main client. 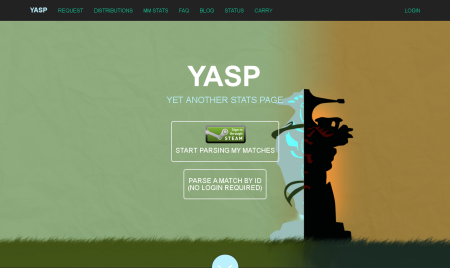 Yasp(Yet Another Stats Page) provides advanced Statistics for Dota 2 Players. Yasp is free and open source. Project live, but I am not involved in it anymore. The Germangang is a german multigaming Community since 2006, I joined in 2009. I was running a very successfull Team Fortess 2 server there and still am the main Server admin. 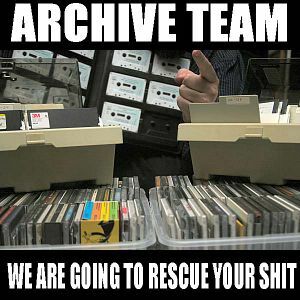 Archiveteam is a loose collective, dedicated to preserving the web for future generations. Want to contact me about anything i do? Feel free to email me, or tweet me a message!